The merry month of March 2012 is another festive month in Davao City, because it is on this month that Dabawenyos will be celebrating its 75th Araw ng Dabaw 2012 in its diamond year anniversary this March 16, as the city was founded 75 years ago, with this year's theme, "Pag-higugma sa Nasud Pag-Amuma sa Syudad", and numerous fun-filled activities, events, and contests have been lined up by the city government of Davao and the various socio-civic organizations in the city. The celebration is a special non-working holiday in Davao City. "Araw ng Dabaw," which literally means "Davao Day," is a week-long celebration of the founding of the city with trade fairs, colorful socio-civic and military parades along the main streets of the city, cultural presentations of the various ethnic tribes in Davao City, sports competitions, and fireworks. 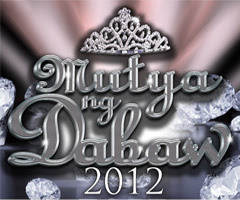 The highlight of the event is the selection of the "Mutya ng Dabaw," which means "Miss Davao", from among the best, the brightest, and the most beautiful ladies in the city every 15th of March, with this year's crowned beauty getting P75,000 cash prize. 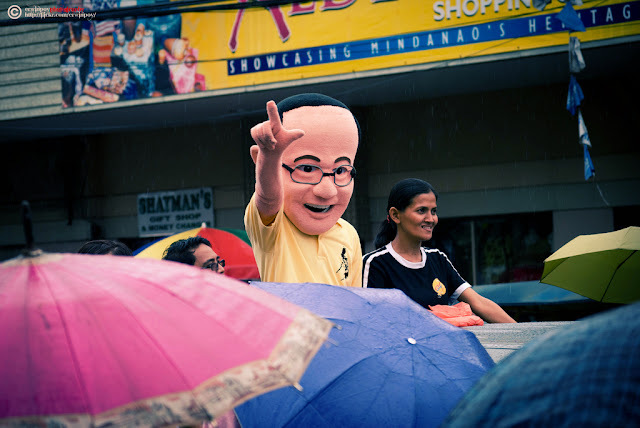 This year's 75th Araw ng Dabaw 2012 is the grandest celebration yet as the city government has increased the budget to P8.2 million, or more than double last year’s budget of P3.9 million, with P7.6 million appropriated from the city's coffers, and P550,700 from corporate and private sponsorships. The budget will be used for the various city-led events and prizes of various contests. The Araw ng Dabaw has its roots. In the 1930's, Davao was completely under the control of the Japanese immigrants, who, despite laws restricting foreign ownership of land, managed to become the largest plantation owners in Davao. They were able to achieve this by using dummies to buy land for them, and by marrying local women particularly with Datu lineage, and also by renting land from local landowners. During this period, the then undivided province of Davao was the biggest producer of abaca in the world with the Japanese practically controlling the entire industry. Their economic dominance in Davao made them politically influential. They had built their own schools, hospitals, and constructed road networks. The biggest concentration of the Japanese was in the Guianga District, centered around Mintal, and their population grew to about 17,900 by 1939. As Japan was becoming a world power, having defeated Russia in 1904 and annexed Korea in 1910 and Manchuria in 1931, doubts were raised as to the real intentions of the Japanese presence in the country. In the 1934 Constitutional Convention, Davao delegate Pantaleon Pelayo Sr. bravely denounced the control of Davao by the Japanese and their unlimited acquisition of land. The presence of the Japanese in Davao had now become a national problem. On March 16, 1936, Davao Assemblyman Romualdo C. Quimpo filed Bill No. 609 or Commonwealth Act No. 51 - An Act Creating the City of Davao, which was intended to break the control of the Japanese. The Act further stipulated that the city officials would be solely appointed by the President of the Philippines instead of being elected, as it was believed then that in elections, Japanese-supported candidates would win, and, therefore, entrench Japanese power in Davao. On October 16, 1936, Bill No. 609 was signed into law by then President Manuel L. Quezon. The following year, on March, 1937, Executive Proclamation No. 132 was issued that formally created the City of Davao. It was during the term of Mayor Elias B. Lopez that the celebration of the foundation of Davao City was made a week-long celebration that culminated on March 16. Today, Davao City remains the most progressive city in Mindanao and is considered the most livable city in the Philippines. Foreign investors and tourists are most welcome, but Davao City will always remain under the firm and sole control of Filipinos as its founding fathers had intended. Davao Cookfest: Make your Davao Dish! Good info and I wish I will pay my visit at Davao one day to explore more about the place that you have mentioned here. Cheers to you too, Tina and to Davao City. Blogging is quite a tedious task and it is a great consolation that there are people out there who read my posts and find same informative. This blog is my own little way of inviting everyone to take a closer look on Davao City and find the countless qualities and attributes that make the city unique and equal to none. I certainly look forward to your visit to Davao City soonest.